The opera singer discusses how she wrote Something Is Always On Fire. Opera singer Measha Brueggergosman has led a remarkable life. Her Grammy-nominated voice was heard by more than three billion viewers at the opening of the Olympic Games in 2010 and she has soloed in prestigious concert halls all over the world. 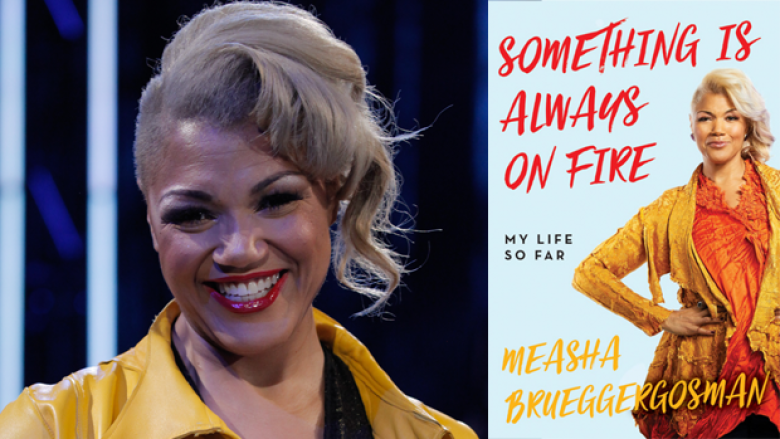 Now, the former Canada Reads panellist is releasing her memoir, Something Is Always On Fire, which gives a candid account of the highs and lows of her life and career. In her own words, the Fredericton-born opera singer explains how she wrote a book about her life. "I believe you're meant to share what you have — and to use whatever you have to help and encourage others. So that's how this book came about. But it took me a long time to come to terms with the fact that this book was actually going to happen; I was laying myself bare, and trying to tell as much truth as was necessary. I think I wrote the book because I needed to go on this journey. "I'm not a sharer, which is the irony of writing a book like this. I made my peace with how candid this book would need to be a long time ago. I guess it's intimacy is a necessity. You want people to trust you and secrets are currency in trust. These things feel secret. They feel hidden. In finding your voice, it also means that you get to tell your truth." "A very important part of the process happened when I was walking through an airport and saw that there was a new book by Elizabeth Gilbert called Big Magic. I had a parallel life to hers in Eat, Pray, Love. It was uncanny. I said, 'I think I'm in crisis now.' Then I run into an Elizabeth Gilbert book. I picked it up and it was exactly what I needed. It was about taking ownership of your own creativity and finding joy in your work instead of being tortured by it. It gave me a lot of strength and courage. It edified this process and made me proud of my book. In some respects, I was a bit ashamed of the fact that I had this opportunity. I didn't feel like I could properly seize it because of industry standards or preconceived notions of what my career should look like." "Here's the thing: either you write an imperfect book that is done, or you write a perfect book that never materializes. You can be messy and classy. You cannot be wise without making a ton of stupid mistakes, it's impossible. I just sat down and said, 'This is the book that I'm writing.' I worked very hard to make sure I could stand by it." "My sons will eventually read this book, so I knew I had to tell the truth. It was an incredible opportunity to answer the questions that I had of my own parents, for my sons. This whole parenting thing is a constant push-pull. It is so inconvenient, yet it is so rewarding. You're always between coming to terms with just giving up on sleep or never being totally relaxed ever again. But you will not be found wanting, because they love you more than you deserve. My sons are everywhere in the book. Every word I wrote I thought, 'They'll be reading this someday.'" Measha Brueggergosman's comments have been edited and condensed.